Q. Where do I find information about the Berkeley College Online Chess Club? This FAQ will guide you through the process of joining the Berkeley College Online Chess Club, and provide links to our tournament and event schedule, past tournament results, and other information. We use chess.com to manage host the Berkeley College Online Chess Club and manage our tournaments. These links and instructions will connect you to chess.com. If your questions are not answered here, please contact roger-beales@berkeleycollege.edu. The Berkeley Online Chess Club is open to students of Berkeley College campuses in NJ, NY and Online. 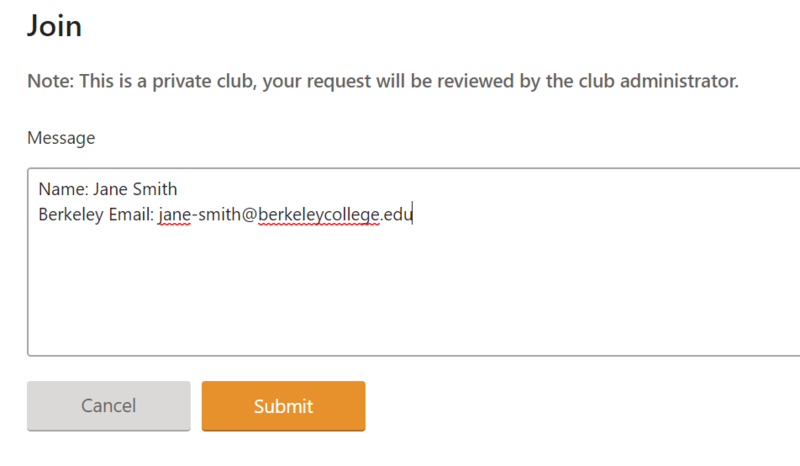 Joining the club requires registration with chess.com and the completion of a very short online form, so that we may ensure that members of the club are indeed Berkeley College students. The entire process takes less than 10 minutes. Go to the registration page at chess.com, https://www.chess.com/register, and sign-up for an account using your Berkeley College email. 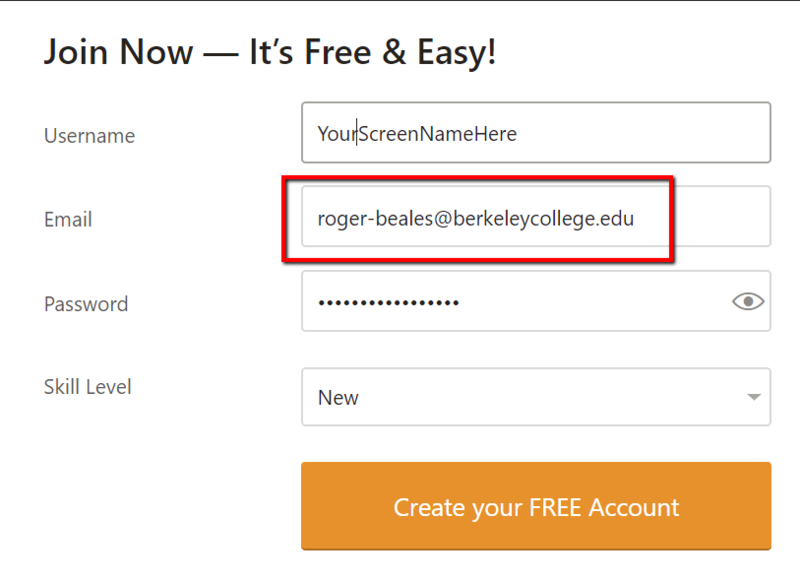 After creating your account, you will receive and email from chess.com on your Berkeley email. Follow he instructions in that email in order to activate your account. You are now a member of chess.com. After activating your chess.com account, go to chess.com and login here: https://www.chess.com/login. Locate the Share menu in the left sidebar. Click on Share, a popup menu will open up. Find Clubs in the popup menu and click on it. The screenshot below shows the menu option you are looking for. 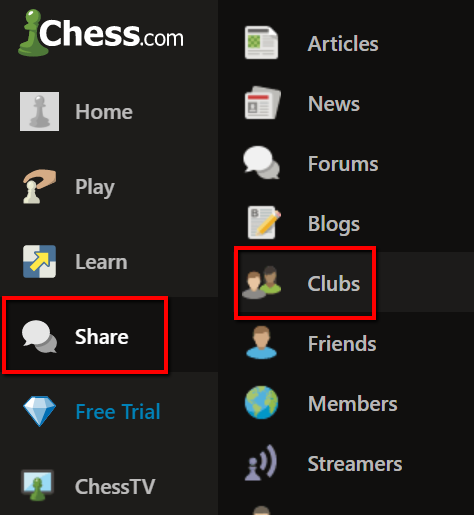 After clicking on Clubs, you will see a search bar that will let you search chess.com for any clubs. Enter Berkeley College Online into the search field as shown below. Click on the name of the Berkeley College Online Chess Club at the top of the search results. Click the Orange join button. Almost done! Only one more quick step! See below. Complete the form, and your application to the Berkeley College Online Chess Club will be complete once your affiliation with Berkeley has been verified. You must have a chess.com account and be a member of the Berkeley College Chess Club to have access to the options described in these instructions. Instructions for joining the Berkeley College Online Chess Club are above. First, login to Chess.com. Once you are logged in, click on the Play option in the left sidebar. Next, on the top right of the play screen, you will see two tabs, Play and Tournaments. Click on the Tournaments tab. Now you should see a list of available tournaments. Club tournaments will appear at the top and have the Berkeley Icon next to them. 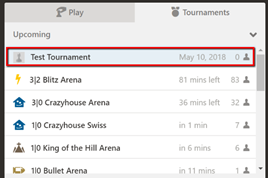 Clicking on a tournament will give you information about the game rules and tournament structure, and provide you with an option to join the tournament. 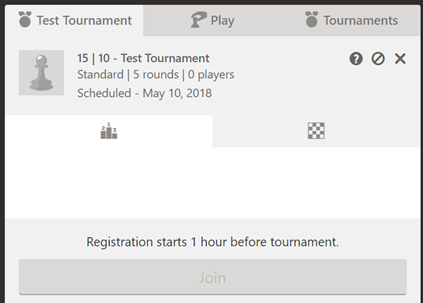 Please note: you cannot register for a live chess tournament until 1 hour before the scheduled start time of the tournament.